Get a custom list of the best homes for sale that meet your specific criteria! Yes, I know you can search for homes on the Internet on your own, but no online searches available to the general public–including HAR, Trulia, Zillow–none of them will allow you to do the complicated searches that I can perform with my custom home search. I can filter out subdivisions that are prone to flooding, while targeting the exact schools that you prefer. Why waste time looking at homes that you won’t buy? I can target the exact areas and homes that may be perfect for you. Silver Ranch homes for sale are located on the far-west side of Katy in Fort Bend County…close to FM1463. Primarily built since 2008, most of the 640+ homes (approx.) in this neighborhood are Traditional in style. On average, these homes are two-story homes with 4 bedrooms, 2+ baths, and approximately 2900sf with 2-car garages. 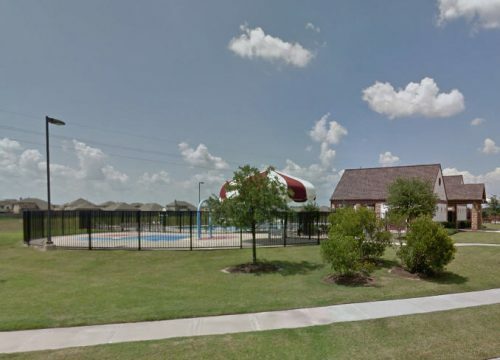 This newish neighborhood does not have mature trees but it does have a community clubhouse, playground, swimming pool, splash pad, and tennis courts. Here’s a map of where Silver Ranch homes for sale are located. The best way to estimate your commute time is to use Google Maps at the time you commute. Simply enter your work address and the address of the house you are interested in, and Google Maps will estimate your commute time. This time is based on the actual time you perform the search, so use it during your expected commute times. The following table shows the schools zoned to Silver Ranch Katy. If you want the current ratings for these schools, please download the Katy Neighborhoods Guide. NOTE: Schools zones may change, so go to https://gis.katyisd.org/viewer/ to see up-to-date school zones. You can view the demographics of Woodcreek Junior High School, the previous junior high that was zoned to this neighborhood, below. This will give you some idea of the demographics of this neighborhood. There is no demographic information on the new Tays Junior High yet. The annual HOA fee, which pays for the amenities, is approximately $715 but may vary depending on the lot. Go to the Silver Ranch Katy HOA website for helpful phone numbers, community documents, and utility information or call 281-945-4655. Property taxes in this neighborhood may vary slightly, but are approximately 3.1-3.62 as of April 2018. Home values change every month. To get up-to-date information on the market, Katy FaceBook page and download the Katy Neighborhoods Guide. Free 200+ guidebook to find the best Katy neighborhood for you! If you are moving to Katy TX and need help finding the perfect home, then you will want to download the Katy Neighborhoods Guide. This 200+ guide lists all of the best Katy neighborhoods, and Katy schools (with ratings), as well as information about the local area expert (Katy real estate agent), Sheila Cox REALTOR. You can also read about Katy vs Sugar Land on my website and get Katy Homes for Sale organized by neighborhood, high school, price, type, etc. Get the Best Agent for Your Most Important Investment! All information on this website is subject to change and should be independently verified...especially before making decisions based on this information. Please note that data on this website is derived from various sources and every effort is made to ensure the accuracy. However, Sheila Cox and Keller Williams assumes no liability or damages due to typos, errors or omissions. No representations or warranties, either expressed or implied, are made to the accuracy of the information herein, or with the respect to suitability, usability, feasibility, merchantability, or condition of any property or neighborhood herein. There is no official relationship between Sheila Cox and any properties or neighborhoods described herein (including but not limited to, owners, schools, management companies, HOAs, and associations) or visa versa.